Hi guys, hope you're all doing good! I feel really good and more motivated and full of energy. I just want to get started and do as much as I can. Anyways I know it hasn't been that long since my last update. But I thought I should do another one because things have changed in my life.. once again. Okay so the major change is university. August was a fabulous month, I enjoyed a holiday to Wales for about 2 and a half weeks, just relaxed with my family and took a few days off from everything, trust me it felt good. I got back the day before results day and weirdly this year I was not really nervous about results, I mean I was more scared about not feeling nervous if that makes sense. Results day was just a roller coaster of a day, I started off by having to find all my clothes in the morning because whilst I was away my dad decided to get new carpet fitted upstairs so everything was packed and obviously nobody decided to put my things away. Anyways I got my results and what a shock that was. I did much better then I thought and I am just so utterly happy and proud of myself. Hard work and determination really did pay off. After I got all my results and stuff sorted I wish I could say I went to celebrate but then I had to completely frustrate myself because of UCAS track being so slow. But once all of that was done and my place was confirmed I have now relaxed a lot. I am happy to say I am a university student now and will be for the next three years. I am studying to become a key stage 1 teacher which may sound pretty crazy to some, but I think I can do it. I have just seen my timetable and it is ridiculous. I'm in uni for 3 days, one day I have a class from 5-8pm and the two other days I'm in from 9am to 6pm. The uni itself is pretty far from where I live and so it takes me 45 mins on a good day to get there. I feel so tired just by thinking of all the journeys and long evenings. Hopefully it will all pay off. Well that's all I have to update you guys with for now. I have really got my blogging mojo back and it may have something to do with my new Ipad. I just feel like blogging has been made 10x easier so expect more posts... that's if uni doesn't get to me first. I know I'm not the best of bloggers and I really should put more effort into it, but that's all going to change. I will produce better quality posts and give you guys a better reading experince. Thank you so much for staying with me and supporting me. Hello beautiful people, hope you guys are doing amazing. If you have been following my page for a while then you must know by now that I have dry skin. If you suffer from dry skin I know what you're going through. It is a pain in the back side.It makes me so angry as it just puts me off wearing any make up, as I see all these patches and basically my skin just looks uneven and not right. I know that winter is on the way and so red lights are flashing everywhere for dry skin sufferers. Do not fear I have something which will make this winter go like a breeze (no pun intended). This product is the best thing ever created. And I just want to thank the creators and everyone who had anything to do with the production of it... ok I'll stop now, just showing some appreciation. Before I started using this product my skin was continuously dry and it looked dull. And then one day, I purchased this randomly and it was the best thing I ever did!! The trick is to use this product the day before you apply any make up so your skin is perfectly soft, supple ready to be made up. Sometimes you can use this exfoliator in the mornings but I don't like using it in the mornings as I feel it's more effective the night before. I like to use this product to deep clean my skin and remove all my make up. I tend to use this product every evening, but only when I have make up on. If I go five days without make up because I haven't had to go college or whatever I don't use make up for daily errand runs etc. And so this summer holiday I have used this product every other day and it still gives my skin a new lease of life. After I have used this product to exfoliate my face I wash it off with warm water and instantly I can feel the softness and my skin looks more glowy. I would love to say this product does it all, but it does take most of the credit. After I have exfoliated my skin with this, I like to moisturise with my E45 moisturiser. E45 and this exfoliator were probably made for each other as they work wonderfully together. And that's really how I achieve soft skin and dry patches are long gone. And that is my secret to help banish those dry patches... just in time for winter. I hope this post helps and let me know if you've tried this. The battle of the BB creams. Hi everyone hope you are all doing fantastic. Although it doesn't seem like it today because of the gloomy weather, these past few weeks as a rare occurrence Britain was blessed with some sunny days. During the summer I hated making my face feel weighed down with a full face of make up and so I decided to start using BB creams. A BB cream is a tinted moisturiser like product which is short for blemish balm… many BB creams claim many things but their main purpose is to restore skin and to repair it. 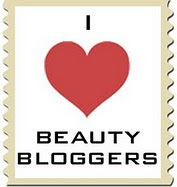 Today I will be talking about two BB creams. Both from the drugstore and both that I have tried in the last few weeks or months. I have been using this BB cream for a good 3 months now. This BB cream is really good, it does correct the discolourations on my skin and evens out my skin tone. Also after I have used this product I feel like my skin has improved. Like any blemishes have settled down since I've worn it. This product gives a highly dewy finish which might be a bit too much for those with oily skin. However I do believe that Garnier have produced an oil free version of it so do check in stores. This BB cream retails at £9.99 however I mostly see it on sale (it is on sale right now in Superdrugs for £6.66) I would definately pay the full price for this product as the results are amazing! - The thing that attracted me to it is the claim "evens skin tone" and it actually does. - It has SPF 15 which is always good especially in sunny climates. - It leaves you with a natural finish. 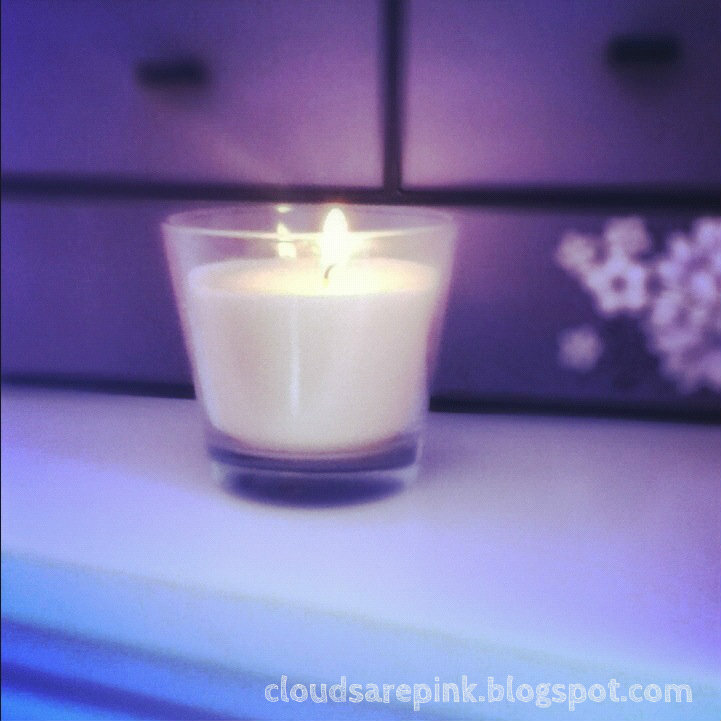 - There is a very strong fragrance to this product, it is a nice smell but it does set you back on the first use. - The shade range isn't that amazing; it comes in three shades. - It is quite expensive for the drugstore skin care product. This is a newer purchase of mine, I've had it for about a month now. I love the sleek design of it. It is a very tiny bottle (25g) which is less than the Garnier BB cream and it is also more expensive. I purchased this BB cream because the colour adapting claim really intrigued me. It is a white cream but once applied it matches your skin tone. The product feels sort of like an exfoliator and this is because of the pigment filled capsules, which burst whilst applying on the skin. I do like this product, it is less oiler then the Garnier BB cream. I believe the coverage is light and for me it hasn't been buildable. I would most recommend this product for a base for the make up, just to add that extra coverage and prep the skin. - It is colour adapting so will adapt to your skin tone. - It's not an oily formula so it feels non clogging and thin on the skin. -24 hour hydration which makes you look and feel fresher for longer. - The smell is not pleasing at all, it smells of medicine. - The price is too high for such less quantity. - Again the issue of limited shades. Overall I do enjoy both products but for completely different reasons. However with that being said I will definitely recommend the Garnier BB cream as it doesn't make a ton of claims and the product actually works. I will also go back to purchase the Garnier BB cream as I love it so much and you begin to get used to the smell afterwards as it isn't really that harsh but pleasing. Well there you go guys, those were my views on the two BB creams. I hope you found this post somewhat useful. Although the last few months have been blood, sweat and tears it is now finally over and I am officially on my summer break and for a good 4 months now, until I hopefully go to uni towards the end of September. I have applied to universities and I am so very pleased to say I have been accepted to both my firm and back up choices. If anyone is in the process of looking for universities I suggest you go to open days because trust me it makes a huge difference. Don't just base your choice on what you've heard, go see the place, the environment you're going to spend the next 3 years or so in, get a good feel of it. So everything "important" is set and ready for my next academic year. I'm not going to get ahead of myself and purchase any items or such for uni just yet as I need to wait for my grades to come through. And that guys is what I have been doing in the past few months and this is why I have not blogged. 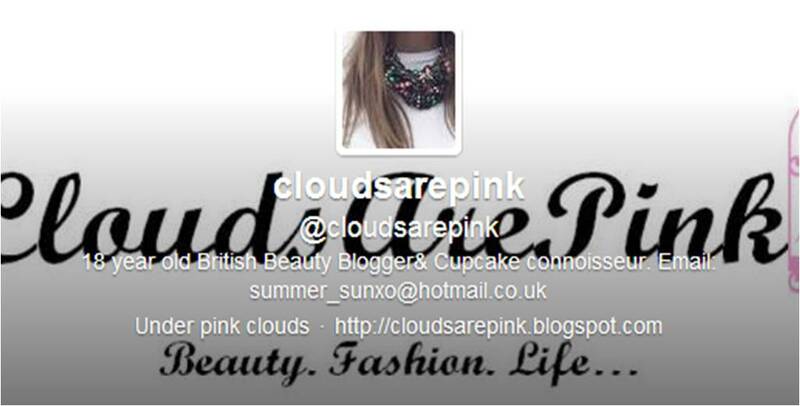 However now that I have more time then I've ever had I will be posting regularly and giving my blog some TLC. Oh yeah and HELLLOO to my new followers and the old ones. Thank you so much for sticking by I promise I will give you more reading material very soon.... watch this space! In between revision sessions I enjoyed food a little bit too much. Bring on the GYM sessions. 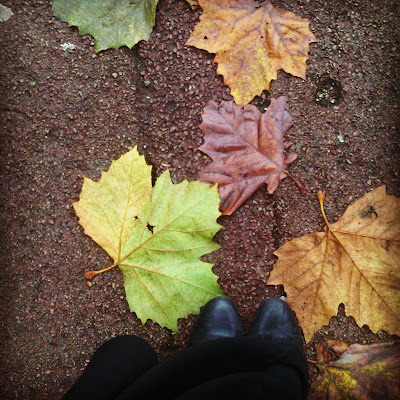 When I'm not blogging about make up and fashion, I'm instagramming about it. So that's all from me now. Hi everyone. Hope you all are doing good. The holiday season is here. How fast has this year gone? Collection cosmetics is well known for their amazing quality drugstore foundation and concealer. These products are loved and cherished by many women and purses around the country. For a drugstore product I think the packaging is very professional and actually looks good. It looks much more expensive then it is. The packaging is made of glass and the lid is plastic. It also has a pump. When I purchase foundations I steer towards the ones that have pumps because it makes it easier to control the product and less product is wasted. This foundation is oil free with an SPF 20. It is 16 hour wear which means the product itself is quite thick. This is a full coverage foundation. I'm not one to go for foundations which are oil free and of heavy consistency however before I purchased this foundation I wasn't too sure of my skin type. Once I purchased this foundation I didn't have a good relationship with it and now I know it's because my skin is awfully dry. However I have figured out a way to work with it. CALLING ALL DRY SKIN SUFFERERS, DO NOT FEAR! When I use this product I mix it with my Simple Kind to skin, replenishing rich moisturiser. And so the foundation becomes more usable, the consistency becomes lighter and the coverage becomes more buildable. I have also realised that the finish becomes more natural. I find by using my foundation this way I have no trouble with it and it does the trick. 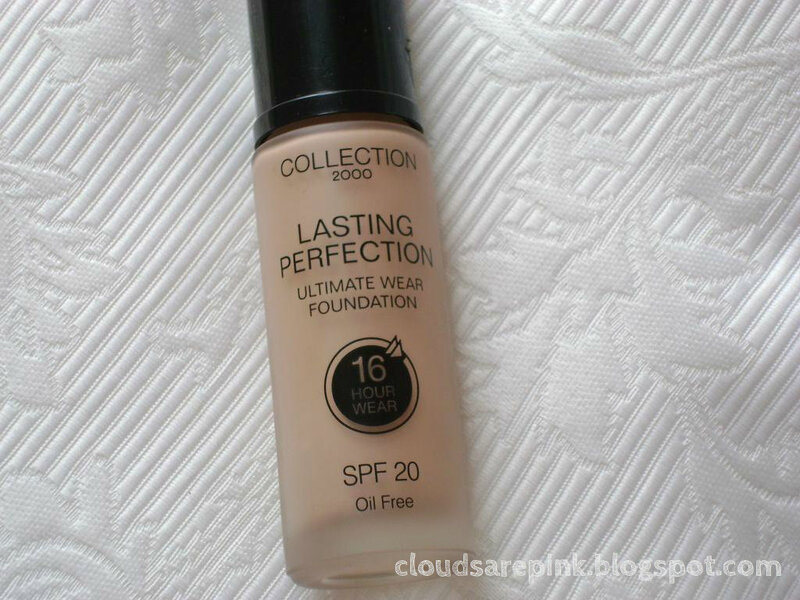 I love this foundation because it is long wearing, perfect for those who are out and about all the time. 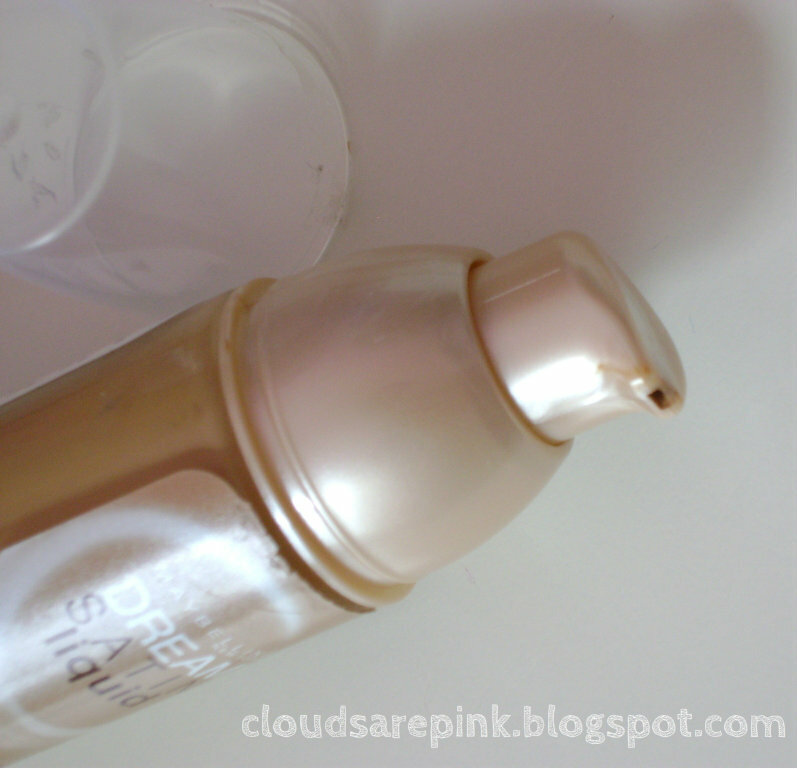 Those with oily skin will have a treat with using this foundation. 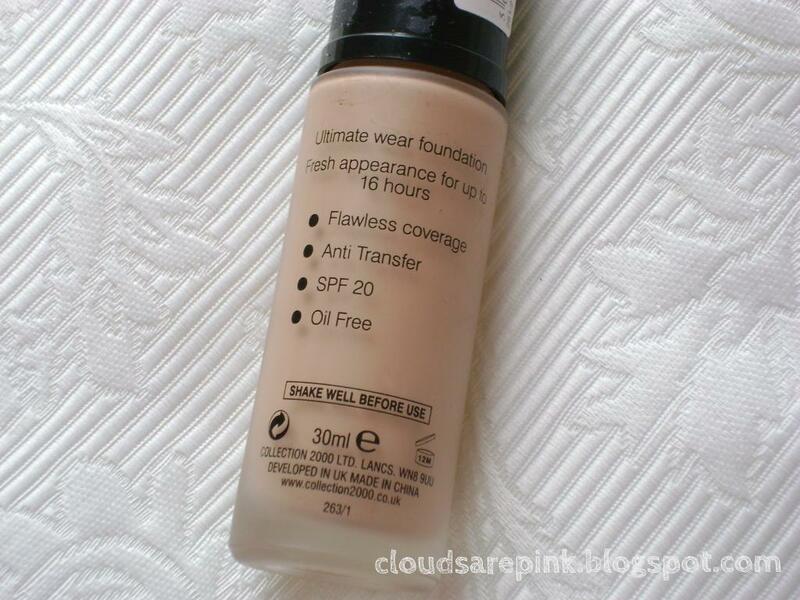 Something that I think most people miss when using this foundation is the 'Shake well before use' sign. I realised if I don't use this foundation for a couple of days and then go back to using it, it sets and so the product comes out a bit clumpy and when this happens you do not get a nice finish. So always remember to shake the bottle well before use. Now the concealer, as you can see it is well loved. I know EVERYONE is so thankful to collection for coming out with this product. It is an amazing quality concealer minus the price tag. It is really a steal. The formulation of the product allows it to glide on softly. And again this product is long wearing. Sometimes I find myself using this product on it's own and then add a bit of powder and I'm ready to go. That's how good the coverage is. Collection have really done well with these two products. The shade range isn't too bad for drugstore, however I think they can bring out more shades for darker skin tones. Other then that these two products are really a steal, with high end quality but doesn't leave a big empty chunk in your purse. And those are my thoughts on this product. I hope you guys found this post helpful. I haven't done a catch up post in a while, so I thought I'd let you guys know what I've been up to. - Firstly I'm back at sixth form for my 2nd and hopefully final year. Still continuing with my A-Levels. Everything's a little too hectic right now because of all the Uni applications etc. But I'm getting there... slowly. - The colder seasons are back, and I love this time of year, although it's pretty cold in the mornings and it's nearly impossible to get out of bed. However I just love having a candle burning whilst getting ready in the mornings. Just gives it a more warmer feeling. 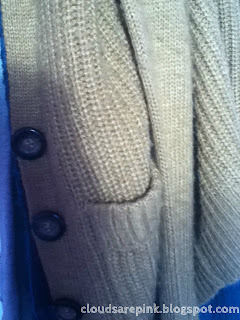 - Also because the mornings are so cold, I've invested in a few chunky knitted cardigans. 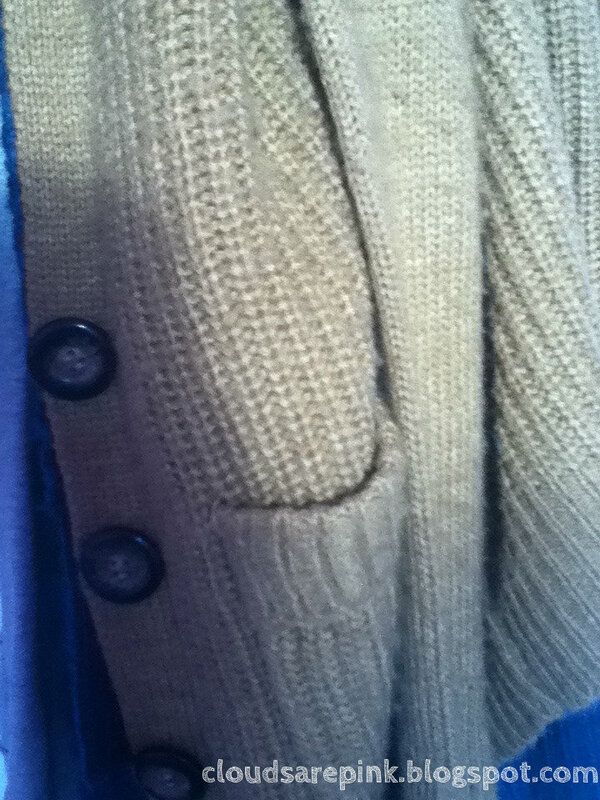 They feel so cuddly and keep me so warm throughout the day. Here's my fave from Primark. - Recently I've been in love with Tumblr . It has become quite an addiction. So many pretty picturesssss. If you have tumblr, please leave links below. I would love to have a good snoop. - Here's a little gem I've purchased over the weekend. I needed something to hold my most used make up items. 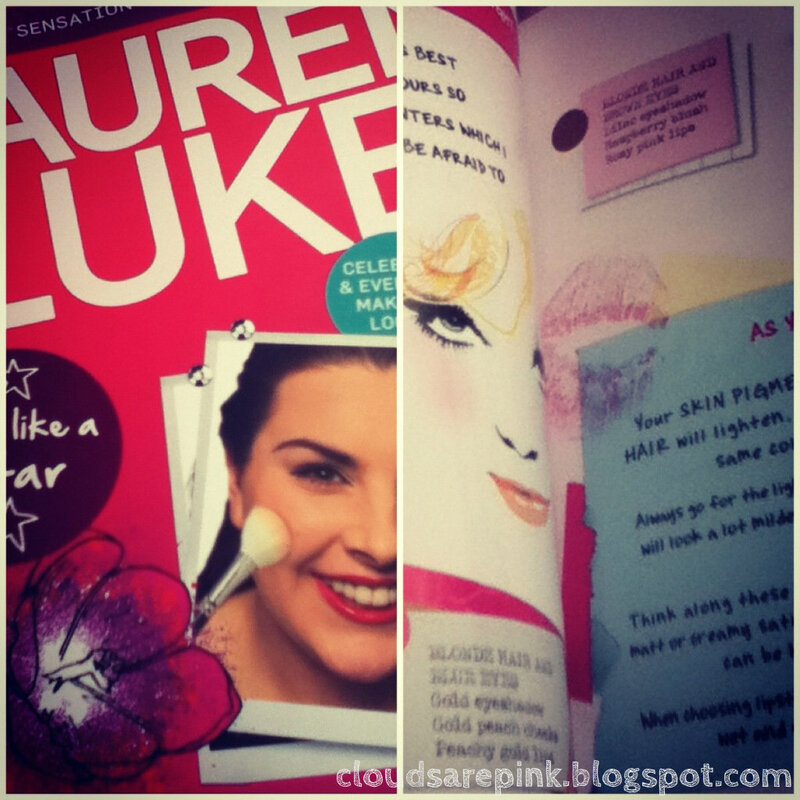 And I saw this on the WHsmith website and just needed it! It's just sitting on top of my IKEA MALM 6 drawer chest. And it just keeps everything tidy and less cluttered. 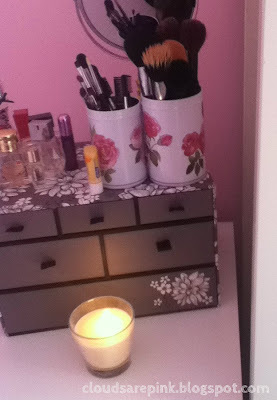 And on top I just have my brushes in these really cute tins from IKEA and a little mirror and some of my daily perfumes. 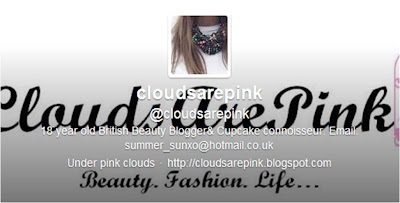 - I know I have been lacking on the Blogger world recently, but I've been doing my fair share of tweeting. So head on over and follow me for daily updates. - Finally I am so excited for this month because of the return of The X Factor, The vampire diaries and (screeech) Gossip girrrrrl! EEEEKs sooo excited! And that is what I've been up to lately. Hopefully lots more posts to come soon. Please give me some requests so I have something to work around. 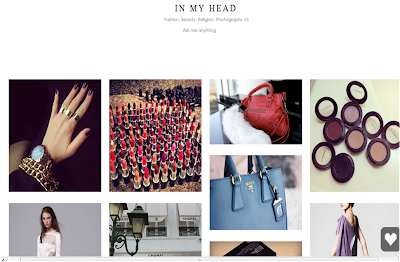 Oh and I hope you guys like the new layout of my blog. I just went more simple so it's easier to navigate. 194 FOLLOWERS?! Insane, Thank you guys so, so much it means the world to me. Hi dolls! Hope you guys are doing good. 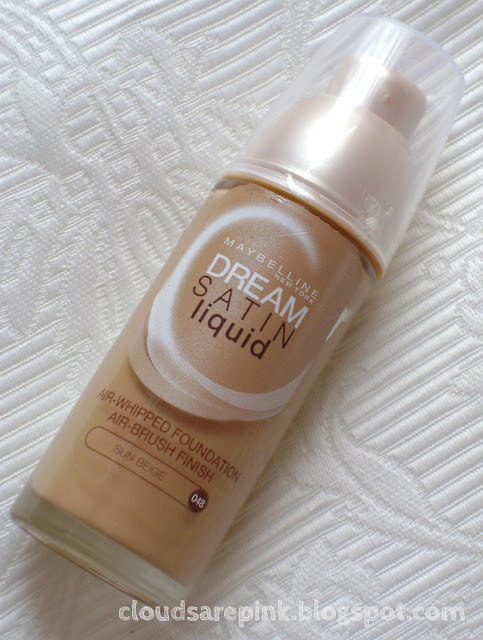 Today I will be sharing with you my experiences with the Maybelline dream satin liquid foundation. I have heard so many good things about it, so have decided to give it a go. I decided to purchase this foundation because I wanted something for everyday use, yet I didn't want the horrible heavy feeling. This is exactly what I get from this foundation. The texture of this foundation is so light, almost as if it's weightless. It doesn't feel like it's clogging up my skin which is also a good thing. Another bonus point is the price, at just under £8.00 I think it's a real steal. I love the fact how I can have it on for ages but still it doesn't give me that uncomfortable feeling. I love this foundation because it has amazing coverage. Before I started using this foundation I had a bit of a break out, you know the usual time of the month break out. And this foundation managed to conceal my imperfections. I hardly find myself using concealer when I'm using this foundation, however if you have those red pimples on your face then I'd suggest applying a concealer before applying the foundation. It also manages to even out the shade of skin as I do have a bit of discoloration on my chin. I was super shocked that such a lightweight foundation could provide such coverage. This foundation is very easy to blend out. I use my ELF powder brush to blend it out and it takes less then a minute to get an airbrushed finish. The foundation is so blendable that I believe when I'm wearing it, it looks like my skin, but better. I have been told a couple of times this week that my skin's been looking radiant and glowy. And it's all thanks to this foundation. It is an oil based foundation, so you will be left with a bit of a shine, I am a fan of the dewy look so that's right up my street. And also because it's oil based, it's perfect for my dry skin. I have not yet noticed any dry patches. This is another thing I love about this foundation, the pump. It is so convenient. I don't go for big whole pumps, instead I pump out enough to dot on my skin, so the pump gives me control to do so. Also a little goes a loooooong way with this foundation. If I was to pump a lot out I would probably use 1/2 a pump for my whole face. As if you couldn't tell, but I am in love with this foundation. I love the coverage, the packaging, the light feeling and the way it blends oh so easily. 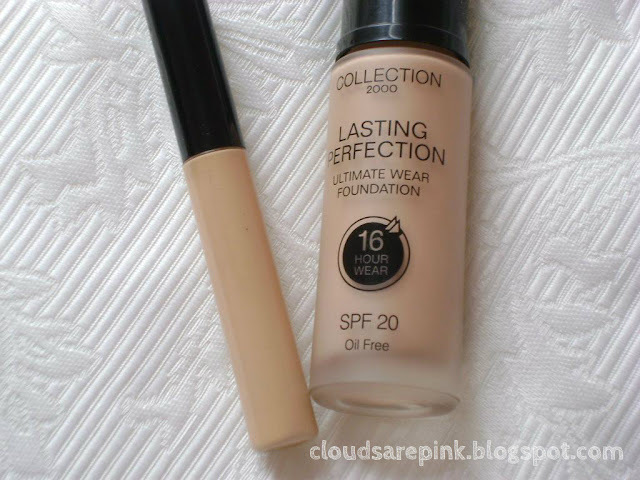 Oh and also for drugstore foundations this was the first foundation which I managed to get which was bang on my shade. The shade matching was incredible! Overall I will reccommend this foundation to all those people who are looking for something lightweight and easy to handle. Especially if you have early morning starts etc because you can even blend this foundation out using your fingers to save time. If you are someone with oily skin then I suggest you use this foundation with the Maybelline dream matte powder as it does control a lot of shine. There you have it, my views on the Maybelline Dream Satin Liquid. Please do not steal any of my images. All images are linked back to this blog.. Simple theme. Theme images by merrymoonmary. Powered by Blogger.